PXG, the ground-breaking golf equipment company widely recognized for inciting a step change in the golf industry, has signed two LPGA Tour champions, Anna Nordqvist and Katherine Kirk, to its 2018 tour roster. 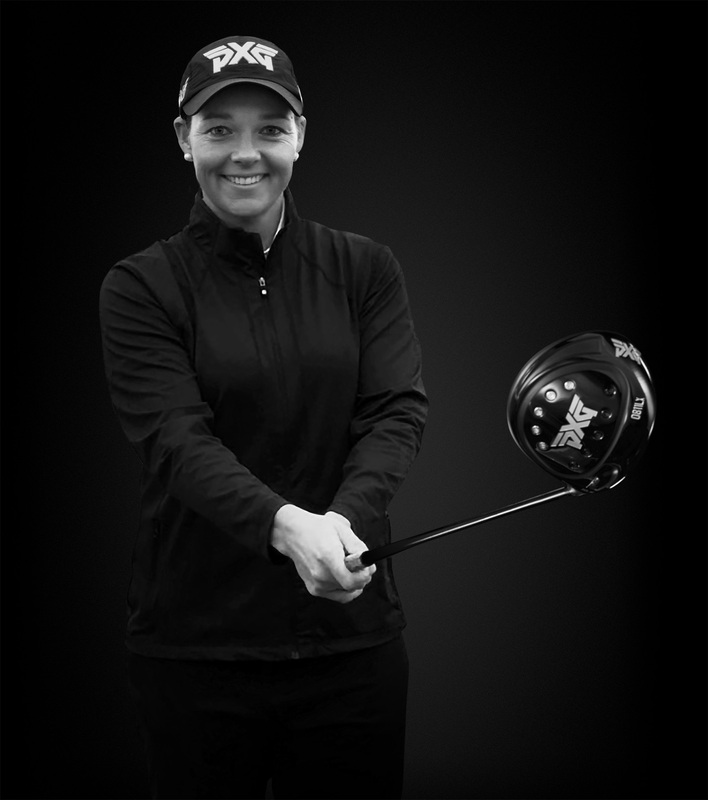 The move highlights PXG’s ongoing efforts to emphasize the exceptional talent on the LPGA Tour and the importance of women in golf. Prior to being under contract with PXG, Kirk and Nordqvist both had wins on the LPGA Tour with custom fit PXG clubs in the bag. Wins included Nordqvist’s major victory at the 2017 Evian Championship. In early 2017, PXG made a statement by announcing only new LPGA Tour players to its roster, including two-time major champion Lydia Ko. Shortly thereafter, the company unveiled its university program, which includes top student-athletes and coaches at six NCAA D1 universities. The program emphatically calls for equal support for both the men’s and women’s golf teams, something many college programs don’t currently enjoy. Clubs sold off the shelf assume all women use one flex – a beginner’s ultra-whippy flex that gets the ball in the air and not much else. Even off the shelf clubs intended for men come in various shaft flexes to accommodate different swing speeds. In both cases, it is far better to provide the golfer, whether male or female, with clubs that are custom fit for their skill and physical characteristics. What’s in Anna Nordqvist’s bag? What’s in Katherine Kirk’s Bag? Nordqvist and Kirk will join current #PXGTroops James Hahn, Billy Horschel, Charles Howell III, Zach Johnson, Ryan Moore, Pat Perez, Charl Schwartzel, Lydia Ko, Brittany Lang, Austin Ernst, Christina Kim, Alison Lee, Ryann O’Toole, and Gerina Piller. To learn more about PXG’s stance on women’s golf, watch Episode 2 of the PXG Files. Episode 2 covers why PXG determines best fit by ability not gender, new PXG tour professionals and PXG’s policy in supporting women’s university golf. To learn more about PXG’s tour professionals and equipment, visit http://www.pxg.com. Parsons Xtreme Golf (PXG) is based in Scottsdale, Arizona. The company was founded by GoDaddy founder, businessman and philanthropist Bob Parsons in 2014. Leveraging breakthrough technology and sophisticated manufacturing processes that integrate high-performance alloys, PXG produces the finest golf clubs in the world. The company has more than 150 global patents issued for its proprietary designs. PXG's professional staff includes PGA TOUR champions James Hahn, Billy Horschel, Charles Howell III, Zach Johnson, Ryan Moore, Pat Perez, and Charl Schwartzel. The roster also includes two-time major champions Lydia Ko and Anna Nordqvist, U.S. Women’s Open champion Brittany Lang, and LPGA Tour players Austin Ernst, Christina Kim, Katherine Kirk, Alison Lee, Ryann O’Toole, and Gerina Piller.